University of Toronto professor Mary-Ann Pouls Wegner of the Near and Middle Eastern Civilizations department and her team conducted a dig in Abydos, Egypt last summer that unearthed majestic treasures consisting of an offering chapel, a monumental building with animal remains, and a statue believed to be of the “female king” Hatshepsut. Hatshepsut was an Egyptian ruler in the 18th dynasty (about 3,500 years ago) that assumed the otherwise male title of “pharaoh.” She co-ruled with her stepson Thutmose III because he was too young to take the throne at the time that his father, Thutmose II, died. In art and other artifacts, Hatshepsut is portrayed as a male with the traditional false beard — a symbol of power — although delicate features like her small waist and chin are distinguishably female. Hatshepsut’s co-regent and eventual successor, Thutmose III, did his best to wipe out the female ruler from history after her death, possibly because she kept him from power for more than 20 years. Her 22-year reign places her as the longest ruling woman of Egypt in her time. The wooden statue is a magnificent and rare find both because of the attempted eradication of Hatshepsut’s image during Thutmose III’s reign and the rarity of existing royal wooden statues. Osiris, god of the afterlife, was held in high esteem and worshipped by the ancient Egyptians in Abydos. Interestingly, the offering chapel discovered by the team was built near the processional route of the festival of Osiris. The wooden statue is also thought to have been part of a ceremonial procession and festival celebrating Osiris. Monuments were created along the processional route to show their life-long dedication and participation to this god. However, if one built too close to the route, he could face the death penalty. The team also recovered a repository of 80 animal mummies. The remains were mostly of dogs but included cats, sheep, and goats. It is suggested that these animals were part of a sacrifice — the number of dogs discovered at the site implies that they were probably sacrificed to the jackal god Wepwawet, leader of the Osiris festival and the one who guided the deceased to the underworld. The team believes that these sacrificed animals belong to an undiscovered tomb and that the remains were displaced during tomb robberies. The discovery of these artifacts in Abydos contributes to the understanding of Ancient Egyptian ritual activity and sheds light on the mysterious past of a once-powerful female leader. Back Campus lovers can soon say goodbye to muddy shoes and blotchy grasses if a capital project to install artificial turfs is approved by the Governing Council next month. The St. George Back Campus Fields Project, with an estimated cost of $10 million, would see the entire Back Campus, an area enclosed by Hoskin Avenue, Hart House, and University College, excavated and layered with synthetic surfaces similar to the ones used by the Varsity Stadium. The fields would be laid out according to International Hockey Federation guidelines, which would allow U of T to host national championships. “U of T has an incredibly strong and rich history in field hockey. It would be great to revitalize that sport here,” said Anita Comella, assistant dean of co-curricular physical activity and sport from the Faculty of Kinesiology and Physical Education. Once completed, Back Campus would be the only double-turfed field hockey ground in Ontario. Other sports, such as soccer and lacrosse, can be played recreationally. The proposed operation is part of the Toronto 2015 Pan/Parapan American Games and is jointly developed by U of T, Infrastructure Ontario, and the Toronto 2015 Organizing Committee. The federal and provincial governments will contribute to 56 per cent of the cost, and U of T is responsible for the remaining 44 per cent. “We have never had, and likely will never have, an opportunity to pay 44 cents on a dollar for a capital construction project,” Comella said. “We found this project to be a great match for 2015 needs during the games and our needs as a legacy. “Toronto 2015 is very focused on the legacy. They don’t want these games to just be building sports infrastructures and leaving them as white elephants in the community or tearing them down,” she said. The project would not result in any student fee increase because extra revenues would be generated from renting the upgraded fields externally to community members, according to Comella. Currently, Back Campus is not available for external rental because of grass degradation. She added that most external rentals would take place during down time — such as Sunday mornings or summer semesters — when these fields are not in high demand by students or intramural teams. 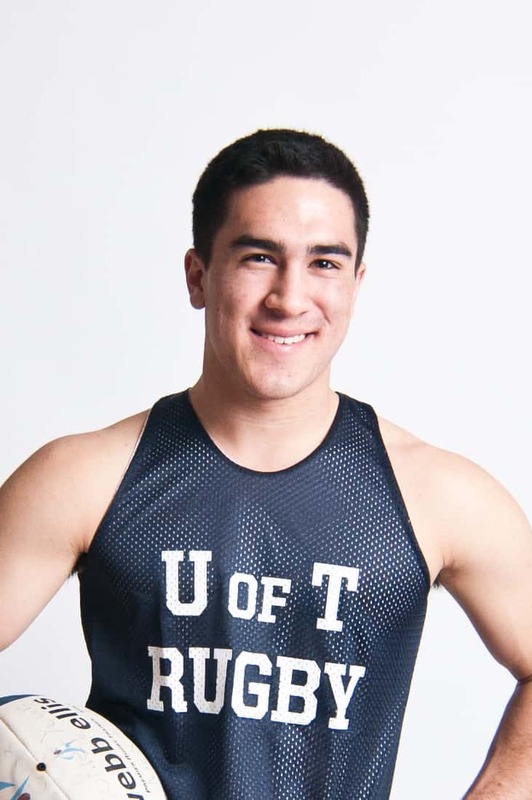 Comella said U of T has always grappled with sports infrastructure deficit, with student access to sports facilities at about 66 per cent of the standard set by the Council of Ontario Universities. Switching Back Campus from natural grass to artificial turf would increase student access time threefold, as the synthetic surfaces are not season-sensitive. The planning process for the St. George Back Campus Fields Project began when Toronto was drafting the bid book for the Pan/Parapan-Am Games. Back Campus, with its downtown location and proximity to the future Athletes’ Village, was picked over Front Campus because it provides the ideal location to have two fields side-by-side. Two games can be going on at the same or one field can be used for warm up. The proposal was approved by the Planning and Budget Committee, the University Affairs Board, and the Academic Board in the past two months. The Governing Council will vote on it on April 11. Once approved, the project would take about a year to complete. One reshoot, two teasers, and multiple fundraisers later, the official U of T Lip Dub video premiered on YouTube at 5 pm, Friday after a full year of preparation. The video generated about 36,000 views in less than two days. The 10-minute video featured more than 1,500 students from all three campuses and included cameos from president David Naylor dancing to LMFAO’s “Party Rock Anthem” alongside cheerleaders. Despite the anticipation, the reception was mixed. “I know that it’s going to get a lot of criticism because that’s just the nature of producing something. I’m just glad people got to really experience the unity at U of T,” said lip dub director Sandra Zhou in an interview with the Toronto Star. As of press time, the video received 782 likes and 851 dislikes on YouTube. The media landscape changes in two ways: gradually, then suddenly. For several years now, in The Varsity’s final issue of the academic year, the outgoing editor-in-chief has written an impassioned defense of print and a call for students to start reading newsprint more often, lest the medium die out altogether. But that doesn’t really tell the story of how much this publication has progressed over the past few years. Though The Varsity has struggled in the face of declining advertising revenue, it has still found ways to flourish: in 2007, with the introduction of a feature-based issue, The Varsity Magazine; through its annual Student Handbook, a true testament to the passion and creativity of our student editors; and more recently, through a full website redesign, which has nearly tripled our site’s direct traffic. It may come as a surprise that The Varsity has been dealing with significant financial obstacles in recent years. (For a better idea of what I’m talking about, flip to page 19 to see 2011’s audited financial statements.) We’ve addressed this challenge head-on, with a total restructuring of this paper’s business office and board — ever since last summer, the paper’s business operations have been entirely administered by students, including ad sales, bookkeeping, and day-to-day clerical duties. Though it’s still too early to call, the shift to a student-led business model has so far shown promising results. The board of directors has been similarly overhauled. With the guiding hands of a diligent policy analyst and an experienced lawyer, the structure and purpose of our board of directors have been completely rethought. Governance at The Varsity is, more than ever before, alive and well. As important as business and board operations might be, however, it’s in the editorial department that this publication has grown the most. In my three years as a Varsity staffer (and my two previous ones reading every issue that hit the stands), I’ve never seen more names on our masthead. The amount of talent and dedication this publication has been able to attract is proof enough that there is still a place for journalism on this campus. In the face of ever-increasing financial and editorial adversity, The Varsity has grown — grown, despite publishing a single print issue every week; grown, despite skyrocketing expenses and declining revenue; grown, despite the occasional legal threat from the subjects of our investigative pieces. Printing an issue every week is our job; being able to involve as many people as we do and having the time of our lives doing it is a true accomplishment. As the year comes to an end, so does The Varsity’s 2012–2013 run, and I couldn’t be prouder of this year’s team. I’d like to thank the writers, editors, photographers, designers, illustrators, copy editors, fact checkers, ad executives, business officers, and board members: they all came together to produce the paper, website, videos, photographs, illustrations, recordings, and writing you see before you. I’d also like to thank this year’s masthead in particular, who have braved many meals of beer and pizza, handed in assignments late, and slept on couches to guarantee our product is the best it could be. Above all, however, I’d like to thank you, the reader, for choosing this publication week after week. Thus ends the academic year, and year CXXXII of The Varsity’s history. I can only hope next year’s masthead, staff, and contributors enjoy putting together this publication every week as much as I did, because the end always sneaks up on you. Gradually, then suddenly. Last week, there were two events that held deep significance and big implications for the Canadian culture of today: I stood in line at a post office and I turned the TV on to the CBC when I got home. What I saw on TV, after what I had just witnessed at the post office, left me feeling disgusted and altogether hopeless. At the post office, a younger, 20-something man in front of me was having an argument with a 50-year-old postal worker behind the counter. 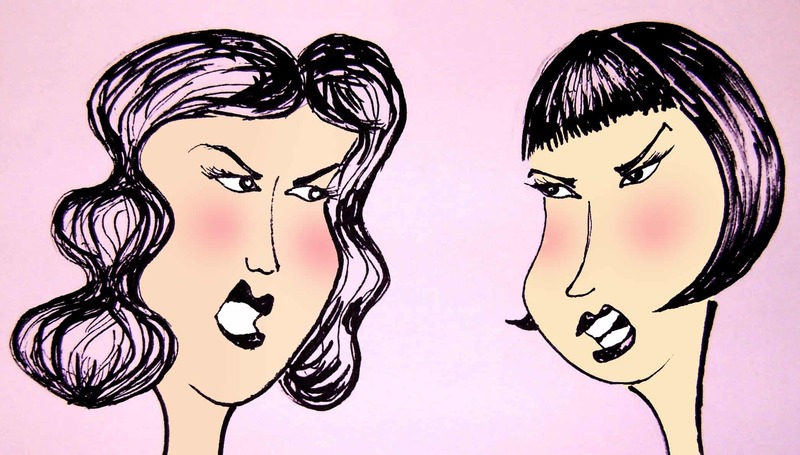 The customer was inexplicably rude and demanding, calling the post office employee heinous names and cursing loudly as an older woman, a young mother, her young child, and I stood around in a sort of dumb shock. Did he not understand that one shouldn’t treat others this way? Then something curious and upsetting happened when the customer addressed me: he was nice. Which made me wonder if he was being so rude to the gentleman and so civil to me because, unlike the post office cashier, I speak without an accent. I, like the irate customer, reek of generations of Canadianism. Nonetheless, as I walked out the door, my mind raced with more questions: why are so many people so rude, and why did I not say something? Why didn’t I tell my peer that he cannot treat people that way? In that post office there should have been nothing holding me back from speaking up, from saying “that ain’t right,” because that is what each of us in there believed. The whole moment encapsulated what appear to be two growing trends. When it counts, Canadians are not as polite as the stereotype lets us believe, and we are not willing to plainly point out what is not acceptable. We see it in our politicians and we see it in our streets. I thought I might simply be romanticizing an era I never knew, nostalgic for a past that may never have existed. But that cannot possibly be the case; basic human decency cannot possibly be antiquated. My Canada is not rude; it is kind, not discriminatory, inclusive, and accepting. I see less and less of this in my Canada every day. At home, the TV blinked on to an attack ad against Liberal interim leader Bob Rae, paid for by the Conservative Party of Canada. Among other grievances, it condemned Rae’s actions as premier of Ontario in the early 1990s. Attack ads during election campaigns have grown in popularity since the 1990s, because however much Canadians deplore them, the ads work. All the major parties have used them. My point is not partisan; we are witnessing volatility between politicians of all stripes. But we are years away from another federal election, the Conservatives have a majority, Rae is not even leader of the official opposition, and most important of all, who cares about what he did two decades ago? The ad is just another example of the decline in civility in Canadian politics and the ideologically-based bullying that litters the headlines today. Politics is adversarial, but does it have to be this bad? The Conservatives would be quite happy to see the Liberals disintegrate, and negative ads like that are quite helpful to their cause. But again, who cares? I would rather see my governing party invest in informing my fellow citizens about the important work they are doing, about what matters today or, even better, actually doing the work. At this point in the game, the issues trump the parties. Lately, the House of Commons has been engrossed in accusations over Robocalls and indeed the issue of fraudulent phone calls seeking to disrupt the fair democratic process during last year’s federal election is extremely important. The fact that it is even an issue is disconcerting enough and a further reflection of the fall of Canadian politics. Things weren’t so dirty here once upon a time. And the shouting of accusations back and forth in Parliament is nothing to be proud of either. There’s fighting about how the unemployment rate keeps rising but no understanding of what to do about it. Investigators are being left to sort out the Robocalls mess. The 2012 federal budget does not bode well for university students hoping to find gainful employment upon graduation. So, Canadians have two options: leave this country in search of greener pastures or start speaking up to say that this is not okay. We need to be able to tell that rude peer that such behaviour doesn’t fly in our country, just as we need to be able to tell our politicians the same. We need our MPs to stop behaving like schoolyard bullies and start working on the future of this country. We need to make them care by telling them that we care. We need to make sure that we do not lose the Canada we know and love. What happened on the Internet this year? As another busy year draws to a close, we University of Toronto students can reflect on the moments we’ve shared together this year. There have been plenty of highs and lows, and I’m not just talking about abominable grades. On the Internet, we were asked to stop a Ugandan warlord by watching a 20 minute video of vague accusations. And we mourned the death of two major musical talents in the only fashion the Internet knows: by making them more popular than ever — to the point where they begin to annoy us. The Kony 2012 campaign is really quite phenomenal. The video itself, a 22-minute piece about a Ugandan warlord and criminal, tells the harrowing story of all the atrocities the man has committed, using vague statements, bright colours, incredible self-praise by its director, and charts that simple health adverts use to make people aware of problems they were never concerned with before and will quickly forget. Personally, I have not watched the video past the part that states that there are 200 million more people on Facebook than there were 200 years ago — as if nobody realizes the internet has only been around since the ‘90s. Still, disregarding its lack of political nuance, I suppose the video’s sentiment is correct. As for the music industry, the passing of Whitney Houston and the earlier death of Amy Whitehouse has transformed both singers’ careers. Prior to their respective passings, people would not have felt apprehensive about mocking their infamous addictions. But with the need to fill up a 24-hour news cycle, we were forced to learn all the intimate details of their tragic lives and then endure their beatification. Once they had passed, nobody dared insult their talent, and instead we gave them more airplay to remind ourselves of the incredible potential that we’d lost. This type of reaction is not unprecedented; record companies were equally thrilled at Kurt Cobain and Michael Jackson’s respective deaths. In terms of mockery, it’s a little bizarre that the death of a celebrity will change their entire status. I’m not trying to excuse or lighten the negativity shown to celebrities, but it’s peculiar that if someone has enough talent, they’re exempt from scorn. Despite the many forms of communication available to us, we have confused messages for ourselves. It’s impossible to stop a warlord if nobody really knows the facts first-hand. Although many have watched the video, few seem to have acted on it. The discussion is no longer about what cause is being addressed but how we address it. Couldn’t those who live on the Internet make a video to stop Stupidity 2012?